David recently met one pastor in Southeast Asia who told him about some of the results after the festival that Pioneer Mission had earlier this year. - He told me enthusiastically that the festival had really been a breakthrough in many ways, David says. 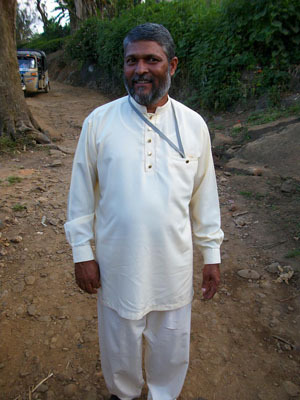 A leading man within the tea industry in the area, had previously been problematic for the local believers in the area. But during the festival, he was healed and saved. The man and his family are now coming to the church. There are also many others who come to church. The pastor also visits people who were saved during the festival in their homes. The pastor also said that earlier, before the festival, it was often tough to visit different areas to share the gospel. - But he said that now it's a completely different openness to the gospel. He also said that he personally experienced favor with different people and authorities in a wonderful way after the festival.